“Be your own kind of beautiful. You never know who you are inspiring by simply being you!” says the former media personality, Cecilia Berkley, who is now an inspiration to her clients and community. Cecilia has been preparing to open her own spa since the time she was a young girl. As a little girl in Mexico, she picked rose petals and put them in a bottle with alcohol and tried to make perfume, starting a lifetime love and passion for beauty. Additionally, Cecilia had a dream of being on television and was very fortunate to have lived her dreams, she had a TV show in Spanish in Phoenix for several years; many of the segments were based around health and beauty. 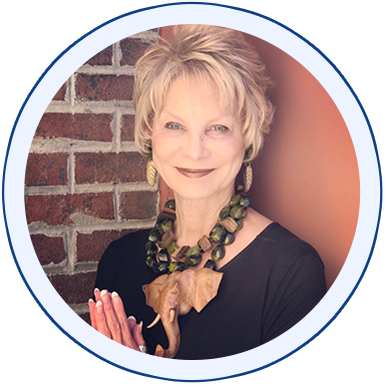 A recent graduate of Southwest Institute of Natural Aesthetics, Cecilia Berkley is a Licensed Aesthetician, a Facialist and Certified Holistic Therapist who loves to who inspire and serve women. She is Founder & CEO of Corazon Organic Beauty, with global reach including customers in the US, Canada, Australia and Europe. Her list of prestigious clients includes members of a royal family from the Middle East. Cecilia’s treatments are a mixture of the most modern technologies and timeless techniques. Within her day spa, she offers LED Light Therapy, Oxygen Therapy, Biosonix Ultrasound, and Negative Pressure Therapy. She is one of only a few privately owned spas in Arizona offering the OXYLIGHT®, which is an innovative technology that dramatically reduce lines, wrinkles, hyperpigmentation, and post acne scars. The treatment also tightens, hydrates, brightens, and firms skin. You can connect with Cecilia through her website, or say hello on Instagram! KC Miller is the founder of Southwest Institute of Natural Aesthetics, a division of Southwest Institute of Healing Arts. KC completed the 600 Natural Aesthetics almost 10 years ago, and initially contributed to some of the holistic components of the curriculum. Although she is not a licensed aesthetic professional, KC regularly receive services in the SWINA student clinics — and encourages others to do the same.